Famous for smooth taste and unerring consistency, Ashton Classic cigars are crafted using a seamless blend of 3-4 year old Dominican fillers blanketed in a light Connecticut shade wrapper. The medium-bodied, fan-favorite Ashton Classic line is available in a wide range of sizes, making it not only supremely delicious, but easily accessible as well. 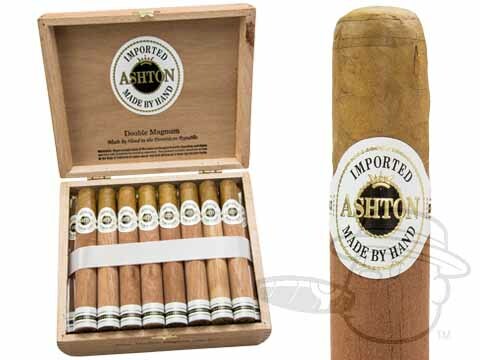 Ashton Classic Double Magnum is a pleasantly mellow smoke, offering tasting notes of cedar, cream, subtle vanilla, and almond in a traditional 6x50 Toro vitola. Ashton Classic Double Magnum is rated 3.5 out of 5 based on 4 customer ratings.